"A writer should spend half of the entire time it takes to write a piece of persuasive content on the headline." Because, 8 out of 10 people read headline copy, while only 2 out of 10 read the rest. 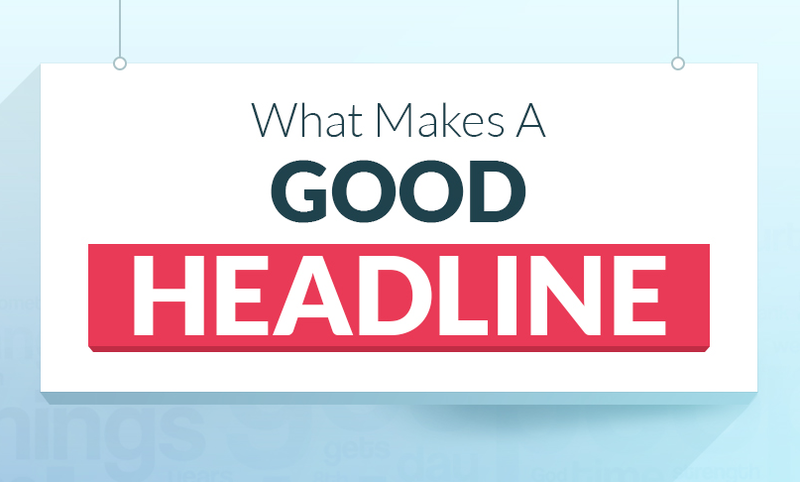 Now that you know headlines are important, you’re probably wondering what makes a good one and how to write one, right? To help you out the folks at quicksprout have created an infographic that reveals the secret formula of writing a perfect blog or social media headline, and highlights some reasons why your headlines fail. Use short and sweet title, the perfect length of a headline is 6 words. The words "No", "Without" and "Stop" lead to many more social shares. Use numbers, people want to increase efficiency - seeing a numbered list fulfills this need.